Incorrect preparation for any form of exercise can lead to injury. 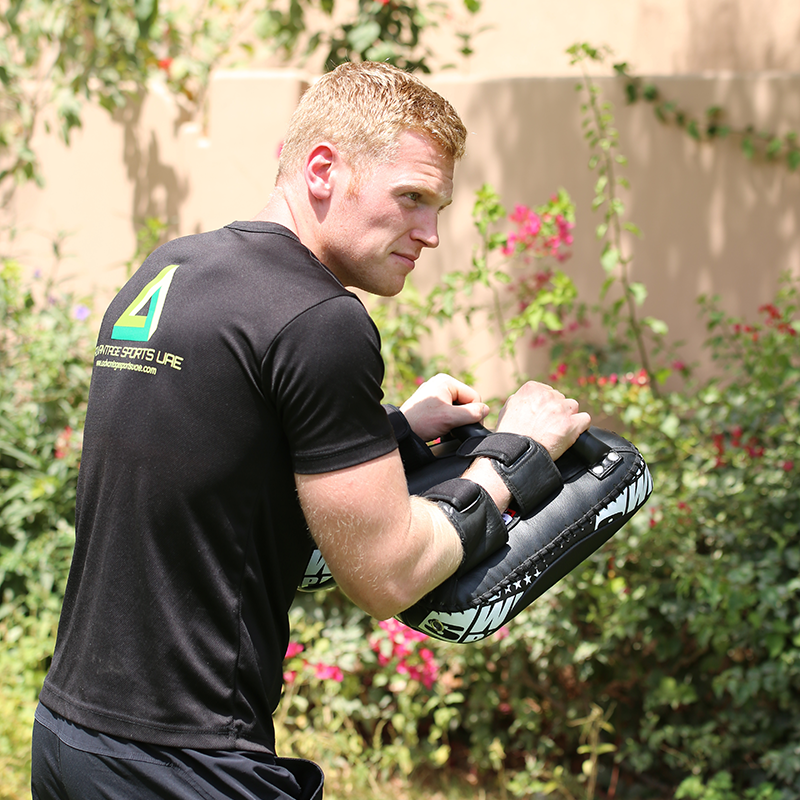 In this article professional Abu Dhabi Personal Trainer Jack explains what Myfascial Release is and how it can be incorporated into your training programme for a safer workout. Training for a triathlon puts tremendous strain on the body and can sometimes lead to dysfunction and injury. Spending around ten minutes with a foam roller or lacrosse ball a few times a week can greatly release muscle tension and help to restore structural integrity by helping to reduce any inflammation and soreness in the muscles and fascial tissue. There are many reasons that lead to bad movement patterns in the body’s kinetic chain such as stress, work, and pattern over load, and the more rigorous your training schedule the more likely you are to experience it. Muscular, skeletal and nervous systems make up the kinetic chain. If one of these is not working as efficiently as the others there will be a dysfunction in your movement. Any dysfunctions in movement if left untreated can lead to loss of range of motion tissue trauma and ultimately injury. There are ways to prevent this yourself, employing the services of a professional personal trainer in the UAE can also provide you with added injury prevention advise. Your body is always giving you feed back though, ignoring signs of pain and fatigue and continuing to push through if you don’t take steps to manage this your body will break down. Making self-myofascial release a training priority will help your body to recover faster help to avoid injury. If you have ever suffered an injury in the past you will know that being proactive about fixing or even preventing it is the best way to over come. Working on getting your body to move as efficiently as possible is a trait that every successful athlete should embrace. Movement is part of our every day life but all is not created equal, the athletes that spend some time on myofascial release come race day are already a few steps ahead.